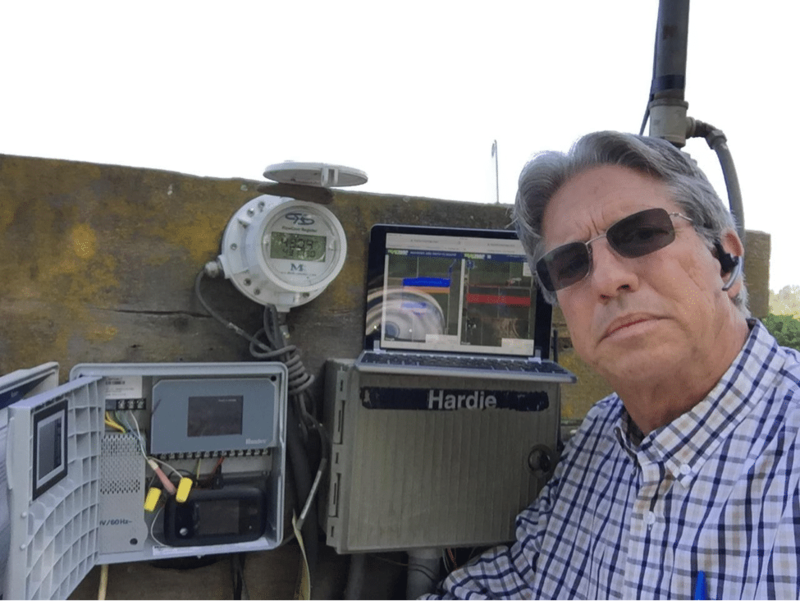 Recently, California farmer Craig Thompson got a pretty nifty upgrade for his irrigation: a broadband-connected Hydrawise control system that would automatically manage and monitor the irrigation of his olive and grape fields and collect data to alert him if there was a problem. He woke up the next morning to fields he could have assumed were appropriately hydrated, but the Hydrawise system quickly proved its worth when he looked at the data coming out of it. He found that the water pressure had been much lower than expected. With that information, he was able to figure out that one of the drip irrigation wires was loose. This small detail revealed from his Wifi-enabled device could have meant the difference between success and failure for his entire season. Many farmers across the world are realizing the benefits of streamlining their businesses with broadband-enabled devices. According to a 2017 report by MarketsandMarkets, the precision farming market is expected to grow from USD 3.20 Billion in 2015 to USD 7.87 Billion by 2022. It goes way beyond irrigation: there are farms using broadband-enabled devices for security, employee management, fertilizer and spray control, real-time access to specialists and consultants, and other logistical supports. 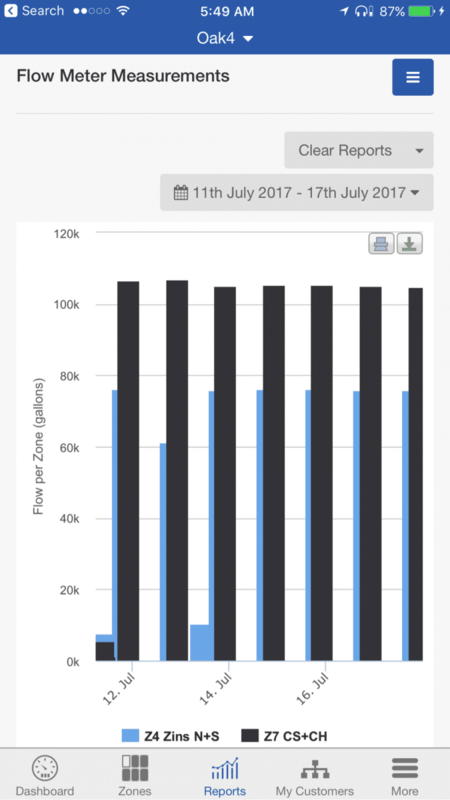 Precision agriculture may not save water or other up-front costs: as in the case above, it may even increase the amount of water used. What it can do is enable a higher yield of food and prevent unanticipated losses. In California, the state is on the cusp of a huge reconfiguration of farming technology. While the earliest converts to precision agriculture were grain farmers in the Midwest, newer technologies that work with the smaller acreage and specialty products of California’s agriculture, state subsidies for water efficiency, and investments in a ubiquitous broadband network mean that big changes are afoot in California, “There have been many changes in the past 3-5 years that are making this possible,” Thompson says. The biggest is Internet access. Despite Thompson’s keen interest in technology for his business, he struggled with lagging download speeds until just a few years ago. He had to rely on the so-called “sneakernet”: you need to put on sneakers to run towards Internet access. According to Broadband Now, an estimated 2.2 million people in California lack access to a wired connection capable of 25mbps download speeds, and another million don’t have any wired internet providers available where they live. Said Thompson, “Within an hour’s drive of Silicon Valley, you have vast regions without Internet connection.” Even where there is connection, it can be spotty and expensive to get adequate bandwidth. To combat uncertainties with his broadband, Thompson has chosen redundancy. He now has three methods to connect to the Internet: mobile LTE, a copper DSL connection, and a local wireless ISP. In the future, he is interested in creating local private hotspots and leaving wifi-enabled tablets on location. Despite all this, his download speeds are consistently slower than those advertised, a problem that the San Francisco-Bay Area Internet Society Chapter is helping to combat through its project on measuring rural broadband speeds in Yolo county. Thompson pictured with the Hunter Hydrawise, a cellular Wifi hotspot, the McCrometer water meter for flow data, the old LX touch irrigation controller, and an iPad with live maps of three grape harvesters. California, as the home of high tech and agriculture, is already changing rapidly with precision agriculture. The state government has a targeted goal that 98% of the population should be connected to the Internet, and as a ubiquitous connection is achieved, more and more farmers will take advantage of these technologies. Still, Thompson warns other farmers to not get overly dependent on any technology, and to have a backup plan in case that precious Internet connection goes down. In other words, don’t toss out your sneakers. The Chapter’s “Bridging California’s Rural/Urban Digital Divide with Mobile Broadband” project is funded by the Internet Society’s Beyond the Net (BNET) Funding Program.